This is a medium sized dragonfly. 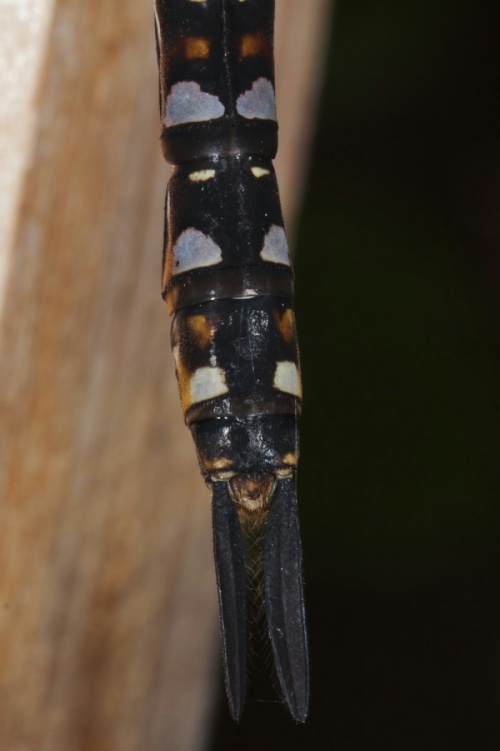 The overall impression is dark, the male having a blackish abdomen with blue spots, brown thorax with relatively narrow yellow stripes, and blue eyes. Females are brown with yellow spots. 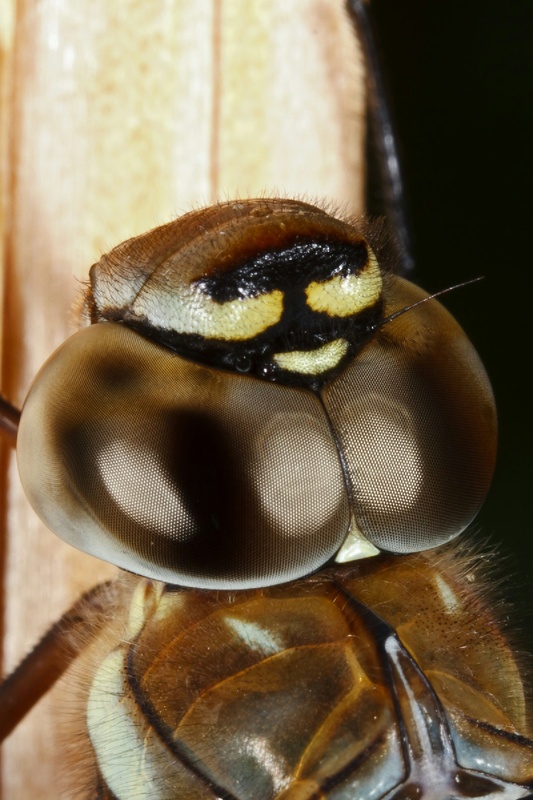 Both sexes have a prominent yellow 'golf tee' triangle on abdominal segment 2. 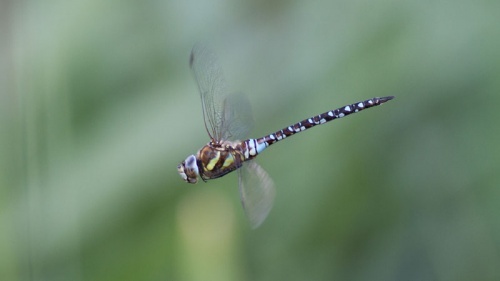 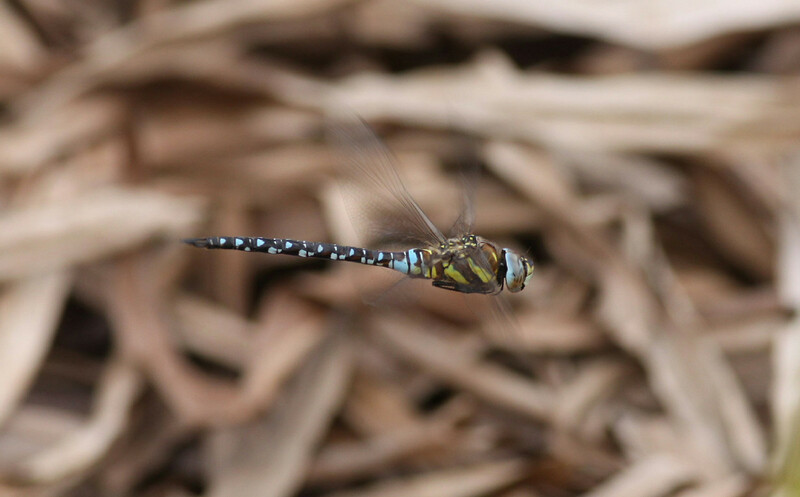 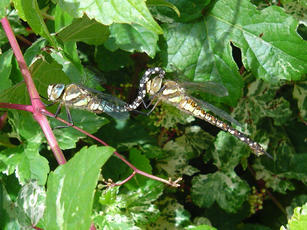 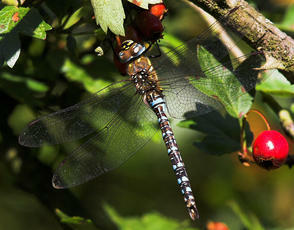 The Common Hawker is similar but is larger and lacks the golf tee mark at the top of the abdomen. 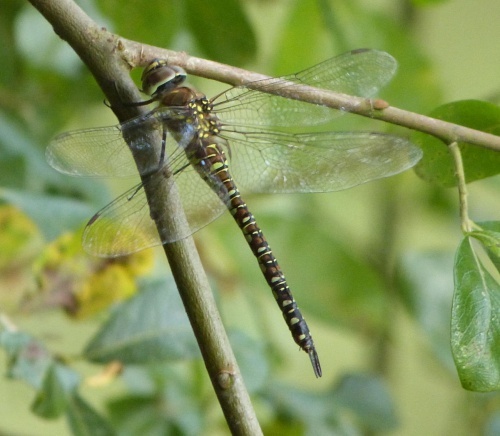 The Migrant Hawker breeds in a variety of well vegetated aquatic habitats and is often also recorded well away from water along hedgerows and woodland edges. 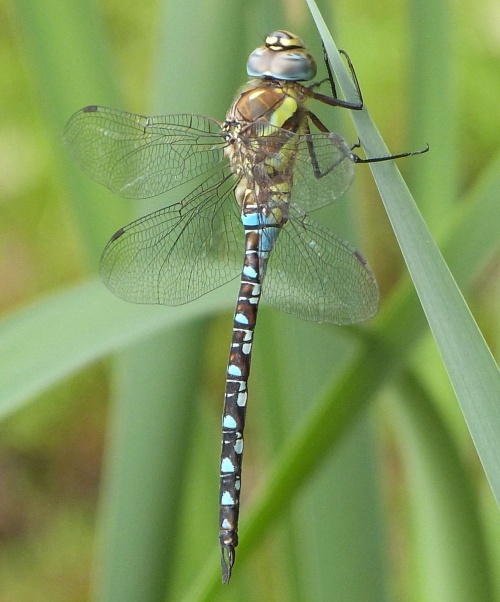 Before the 1940's it was, as the name suggests, a migrant visitor but now it is an established breeding species in the UK. Most British records come from England south of the Humber. It has recently become widespread and fairly frequent in Leicestershire & Rutland. 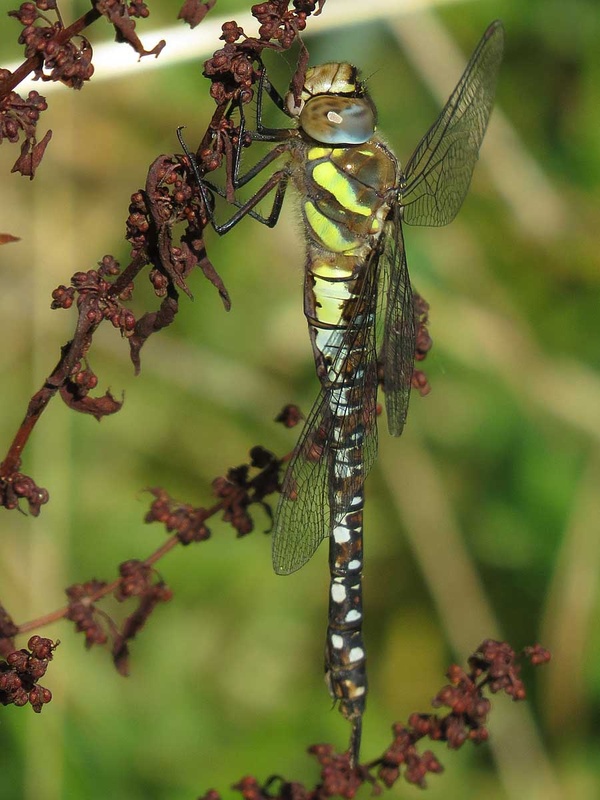 Prior to the 1980s historic records show that this species was, as its name suggests, a migrant to VC 55. 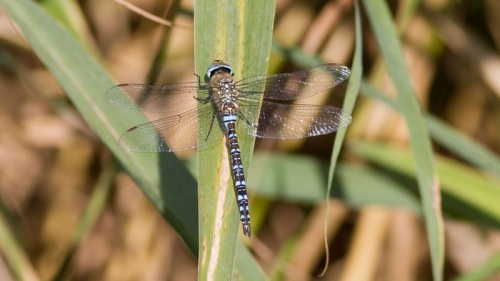 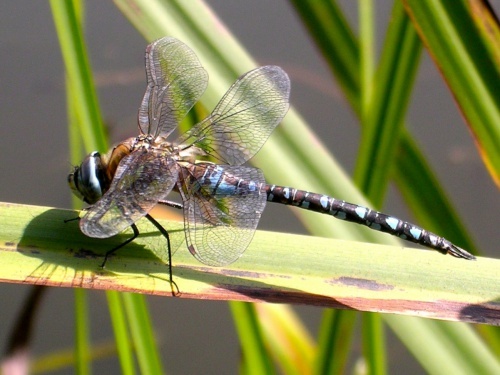 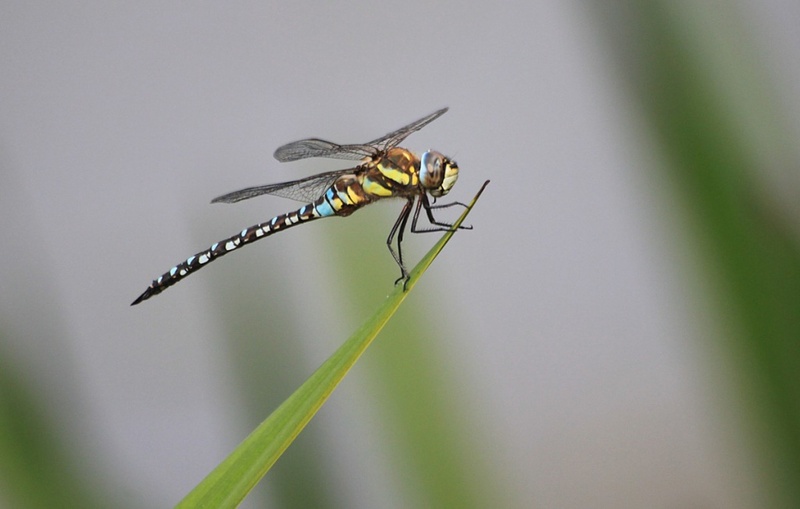 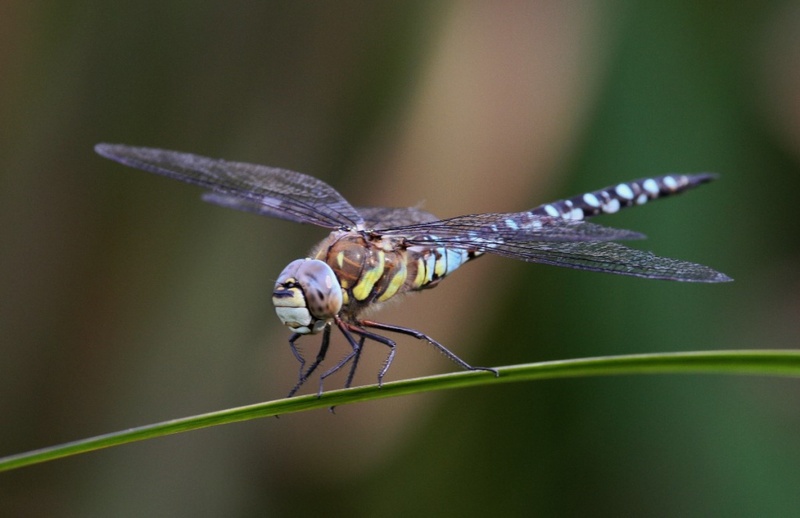 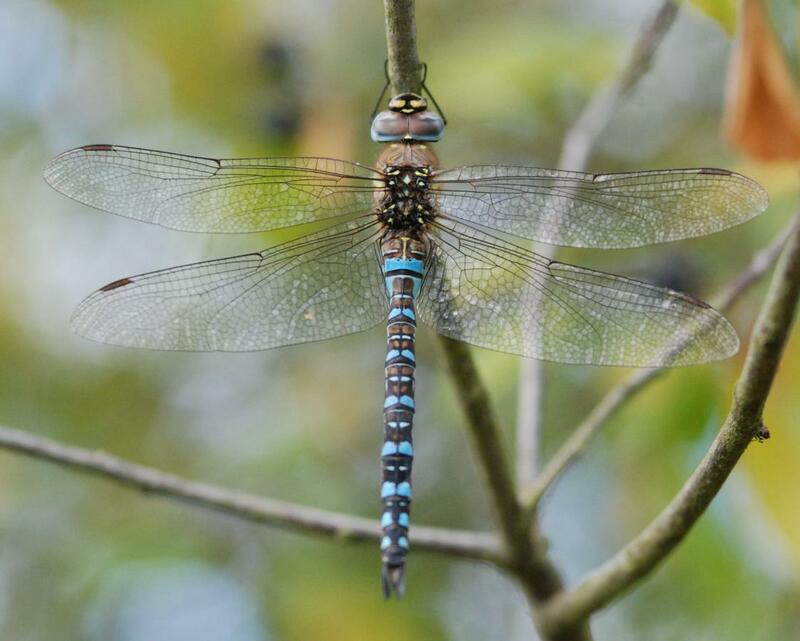 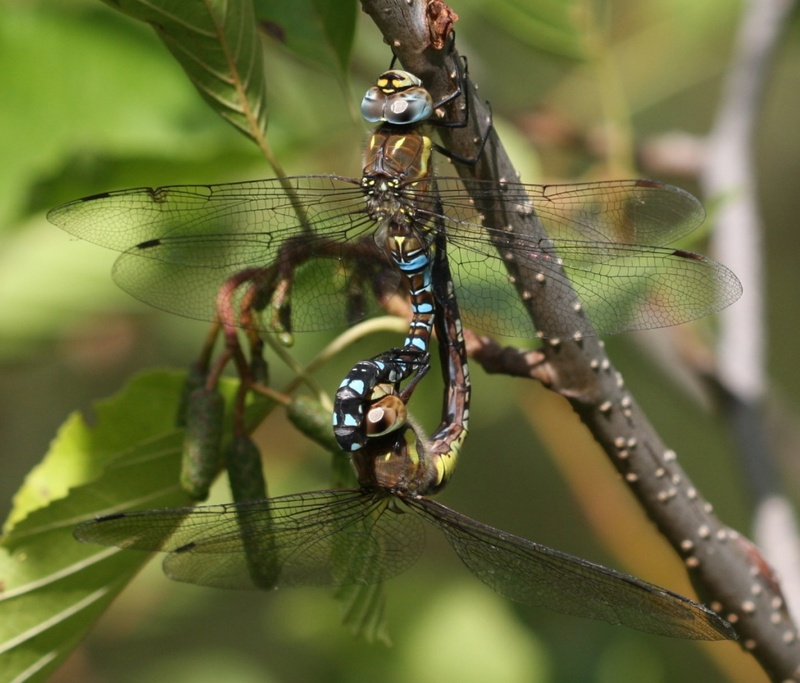 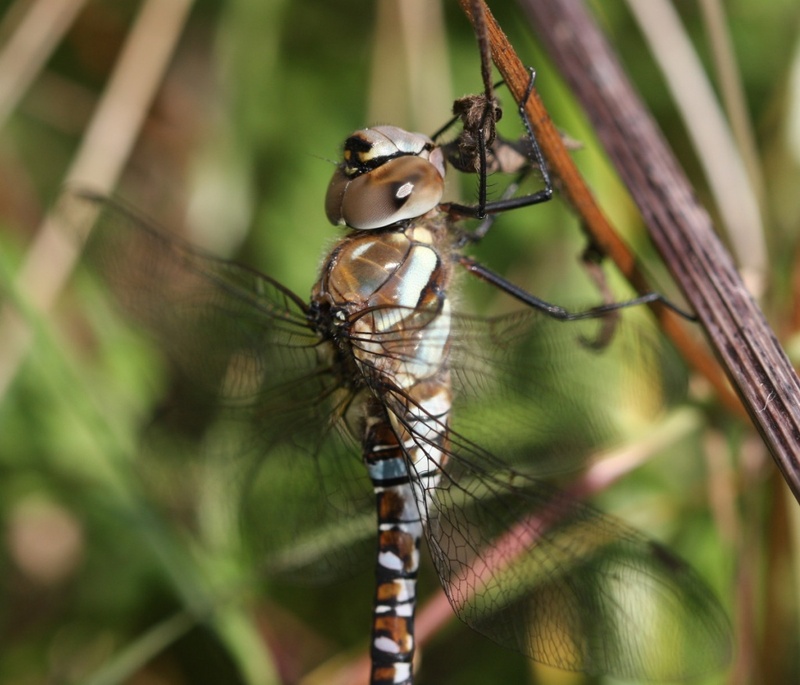 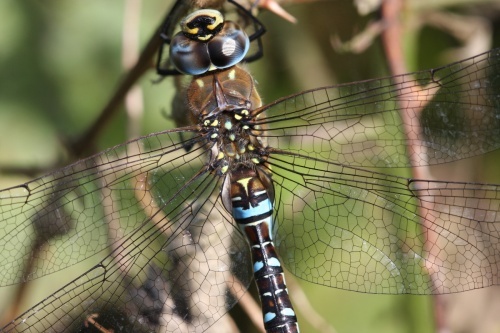 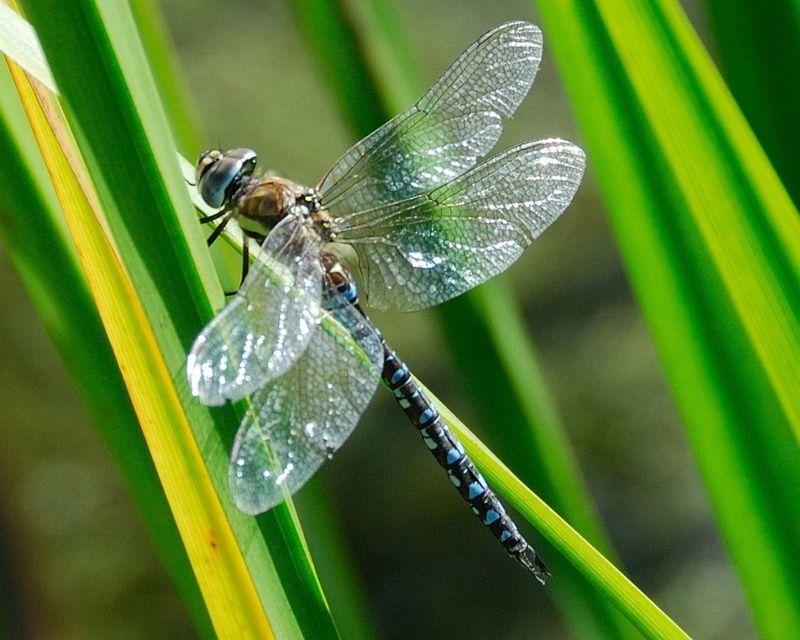 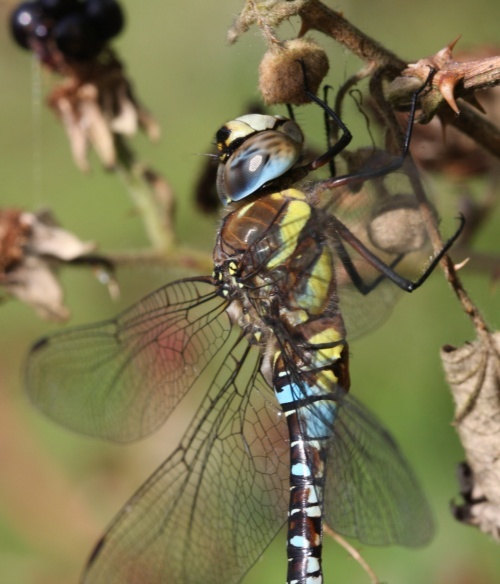 From the 1980s onwards, however, the Migrant Hawker has become a widespread species and a familiar sight during its late summer flight period; owing to this late emergence it is still probably under recorded as most observers of Odonata are most active in the early to mid summer periods. The Migrant Hawker breeds in a variety of well vegetated aquatic habitats and is often also recorded well away from water.